SpaceX has squeezed in a mystery mission known as Zuma to its updated schedule of launches for 2017, NASASpaceFlight.com reported Monday. The Zuma mission, also known as Mission 1390 on the Federal Communications Commission launch license, is set to take off aboard SpaceX’s Falcon 9 rocket by Nov. 10 from a launch pad at Kennedy Space Center in Florida. Prior to Zuma launch, the Koreasat-5A satellite is expected to launch aboard a Falcon 9 by Oct. 30 from a launch site at Kennedy Space Center. Iridium Communications expects to launch its fourth batch of Iridium NEXT satellites by early December aboard a Falcon 9 rocket from Vandenberg Air Force Base in California, according to the report. 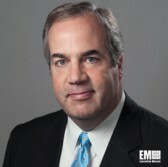 Iridium CEO Matt Desch announced the projected schedule to on-site press during the Oct. 9 launch of its third batch of NEXT satellites. The Iridium NEXT-4 mission also received clearance to allow a Falcon 9 booster to perform a return-to-launch-site landing at a launch complex at Vandenberg AFB. The launch of the Commercial Resupply Services 13 mission to the International Space Station has been pushed back from Nov. 28 to early December. 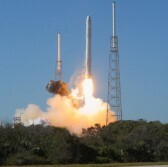 The CRS-13 mission’s Dragon spacecraft will take off aboard the SpaceX rocket from a launch complex at Cape Canaveral Air Force Station in Florida. The Hispasat 1F satellite is also expected to lift off by December aboard SpaceX’s Falcon 9 rocket from Cape Canaveral.